This is a set of 100 multi-coloured LED Lights that are especially designed to be fully connectible with other sets of the same connectible lights. 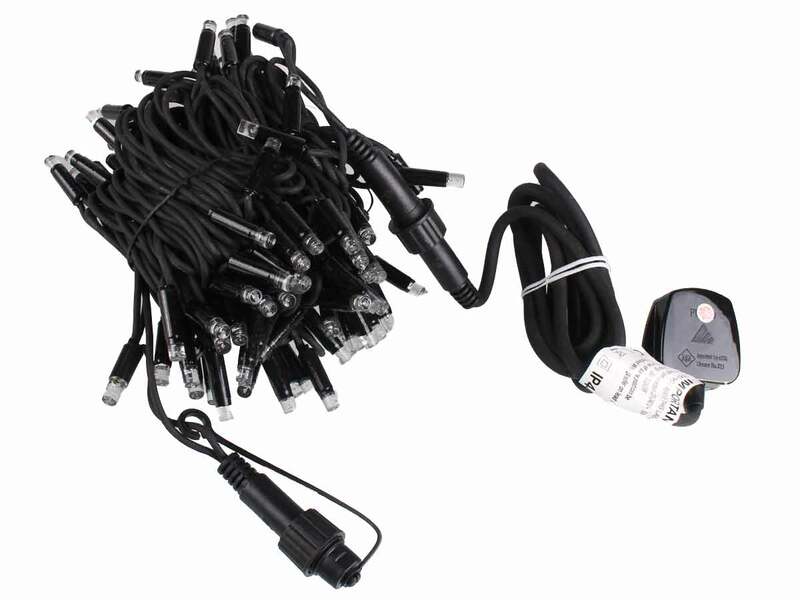 This means that from just one plug you can add more and more sets of whatever colour variant you like and run up to 5,000 LEDs in that one single chain. These lights are safe to use indoors or outside but they are really designed for outdoor displays where you have a long length to cover but limited sockets and this is a far safer way to display than using lots of extension cables and adaptors. The LED bulbs are do not need to be replaced and they also use less energy than traditional bulbs and give a brighter light too. A fantastic Christmas decoration that will look great in your home or office.